This is a watercolor floral group with 24 inch panel that features beautiful butterflies and flowers. The coordinates includes a large floral, tonal and colored butterflies, a fern print and a small tossed floral. 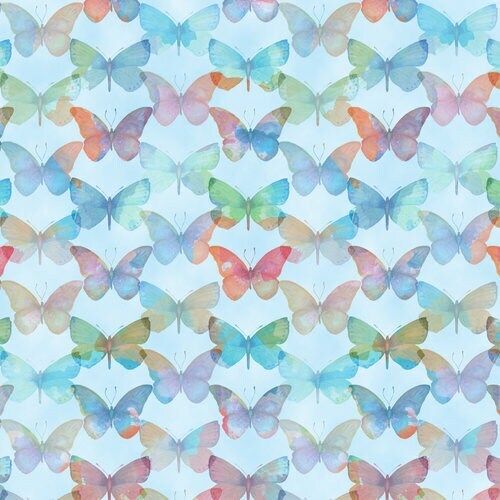 Beautiful tone on tone butterflies with translucent watercolor qualities.